Interesting news to announce! 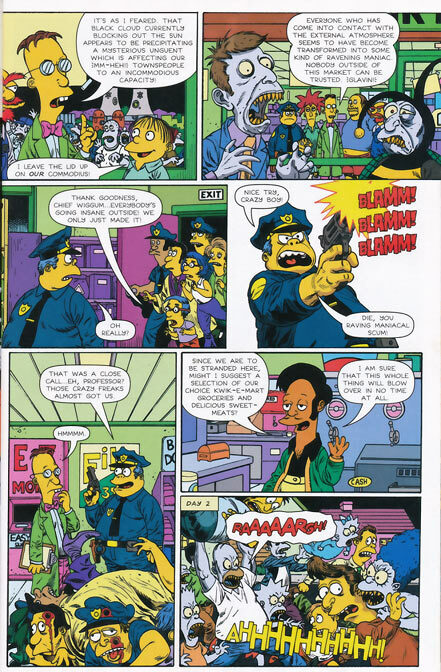 Nina has posted on her lj that she's done a new comic in the latest Simpsons Halloween issue, Treehouse of Horror #14! For her story, Nina's done what looks like a hilarious Death Note story! 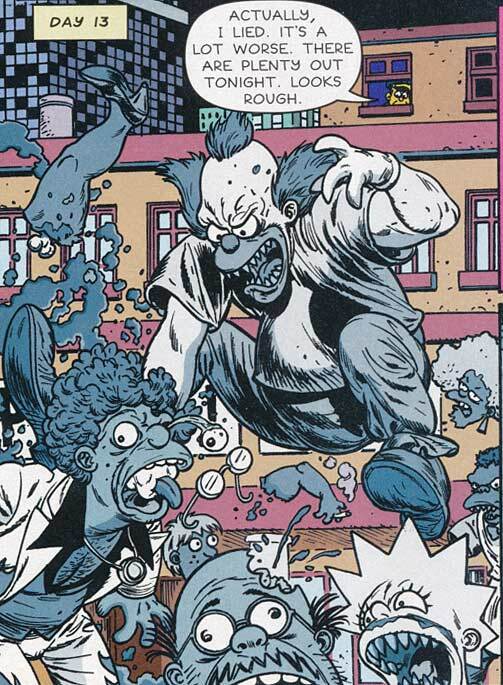 It seems like Bart plays the role of Light and Krusty plays Ryuk :) I'm gonna pick this book up my local shop tomorrow! 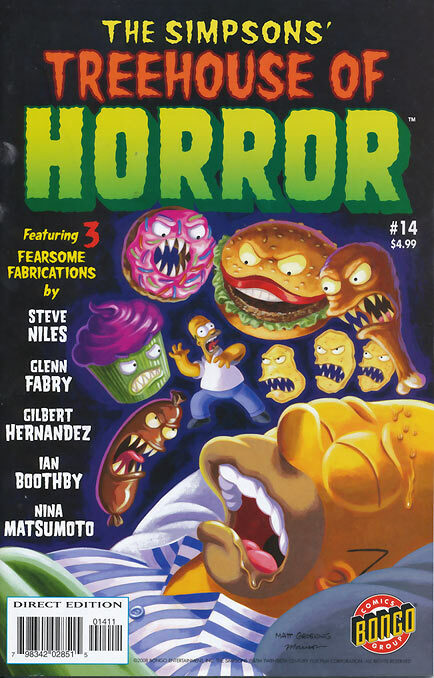 In addition to Nina's story, the book also features short stories by Preacher painter Glenn Fabry and one of my two favorite Los Bros... Gilbert Hernandez! Fabry does a gory zombie strip! 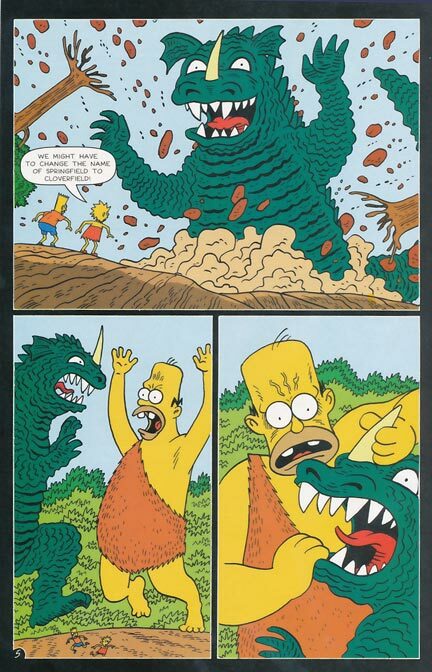 Hernandez contributes a crazy Godzilla parody!